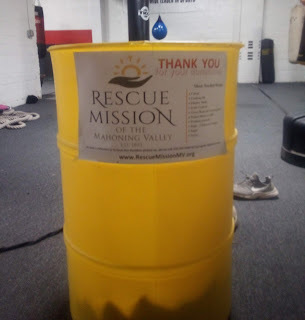 Southside Boxing Club is currently accepting donations of non-perishable canned goods to help the Rescue Mission of the Mahoning Valley and their current drive for the Easter Holiday. Those wishing to help fill up the yellow container that occupies the famed boxing gym located at 1714 Market Street in Youngstown can drop items off Monday through Friday from 4:30 PM to 7:00 PM now through April 8th. The gym has set its goal as the heavyweight limit of 200 pounds of food.